MTP Contracts Limited - Builder, Damp Proofer, Insulation based in Kinver, Staffordshire. 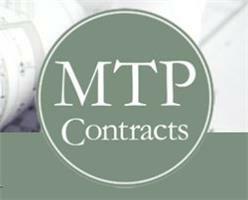 MTP Contracts Ltd is a well-established company working in Stourbridge and the surrounding area. Having completed many successful projects, we have the experience and the expertise needed to realise the construction or renovation project of your dreams! Please visit our website www.mtpcontracts.co.uk for more information. But we're not just about bricks and mortar. We're very much aware that we're building our customers' future. We have experience in a wide range of projects. Should you want to build an extension, convert your garage or loft, need some plastering or perhaps you have noisy neighbours and require some sound proofing contact us to get an estimate today.